Driving up to the Dolomites from Milan or Venice, it’s impossible not to be awestruck by the iconic snowcapped peaks. They rise from lush valleys dotted with ski towns. Designated a UNESCO World Heritage site for its unique sawtooth limestone cliffs, the Dolomites are known for breathtaking natural beauty. 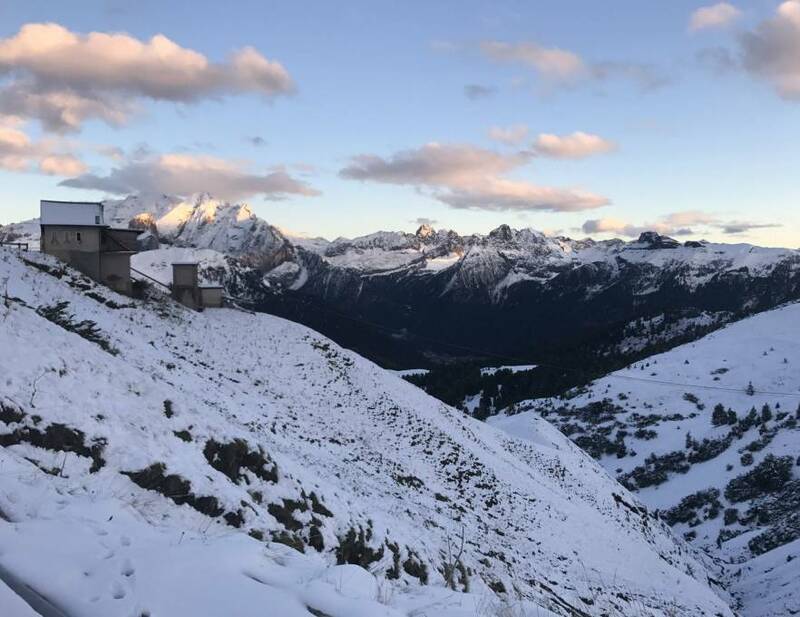 The mountain range is also recognized as one of the top ski destinations in the world, in part for its famous Sella Ronda run – a chain of nearly 25 miles of trails linked by chairlifts. Located in the northeastern corner of Italy in the regions of Trentino-Alto Adige and Veneto (the latter also home to Venice and Verona), the Dolomites make up a part of the extensive Alps range, which spans eight countries and around 750 miles. 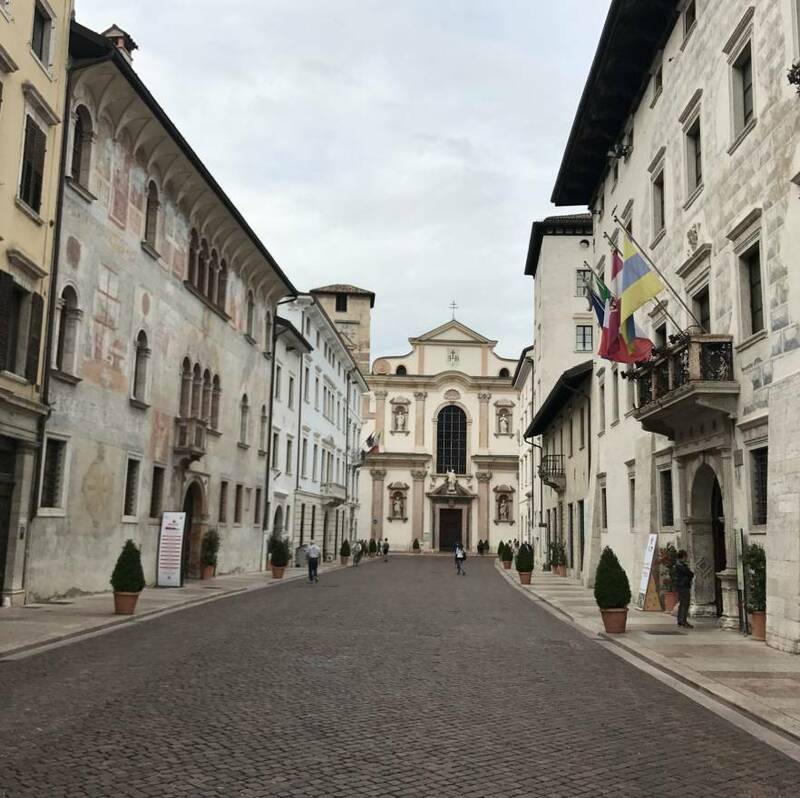 Traveling north through Trentino-Alto Adige, one of Italy’s 20 regions, you’ll notice a point when the architecture, culture and even language switch from Italian to German. This indicates you’ve moved from the sub-region of Trentino, which became part of the Republic of Italy in 1919, to Alto Adige, annexed by Italy in 1920. Alto Adige, also known as Südtirol, has deep Austrian roots. German is actually the most common language spoken here, together with local mountain dialect Ladino, though Italian is spoken almost everywhere in the province (likely with a thick Austrian accent). Despite this “Italianization”, this part of the region still feels like entering into another country. 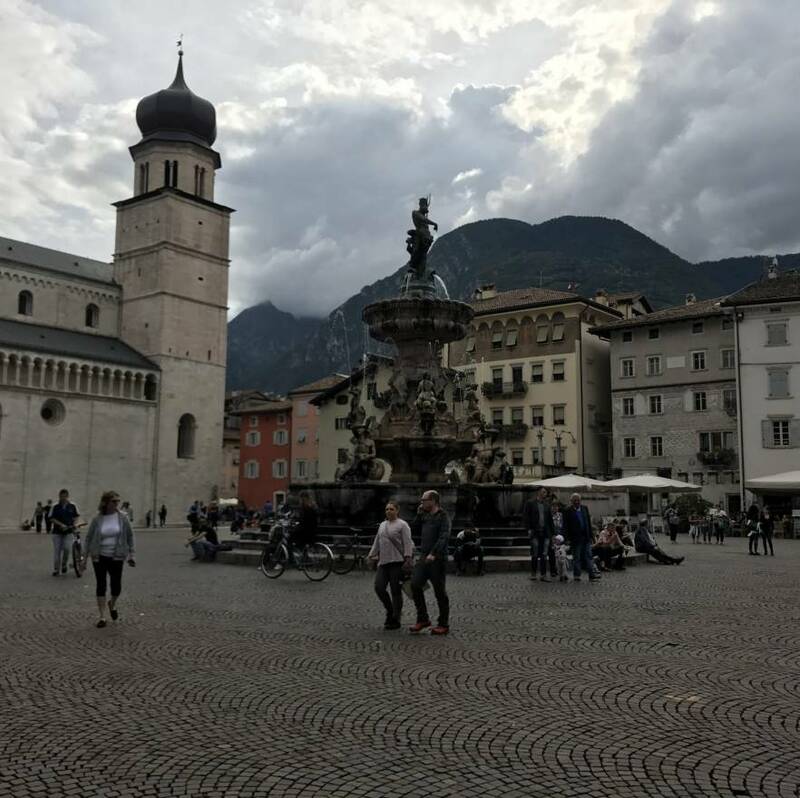 Although they’re less than an hour apart, the differences between the cities of Trento and Bolzano are dramatic. 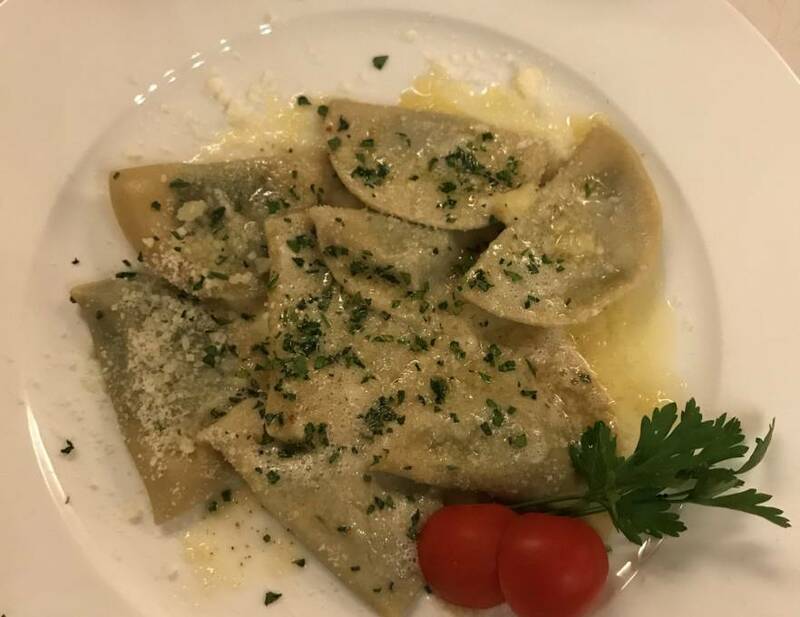 Bolzano feels more like Salzburg than Siena, with signs listing German most prominently and dishes like canederli (or Knödel, in German), speck and schnitzel featured ubiquitously on menus in local restaurants. Perhaps the most noteworthy luxury destination in the Dolomites is the iconic Cortina d’Ampezzo, a haven for jetsetters and VIPs looking to hit some of the Alps’ most striking slopes by day, and then enjoy apres ski, Italian aperitivi and ski village life by night. Located in the Veneto region (think Venice, Verona and Lake Garda), Cortina is a more bustling mountain town with a distinctly Italian feel. Travelers to Cortina can select from an abundance of lovely luxury properties, including the boutique mountain resort and spa Rosapetra. 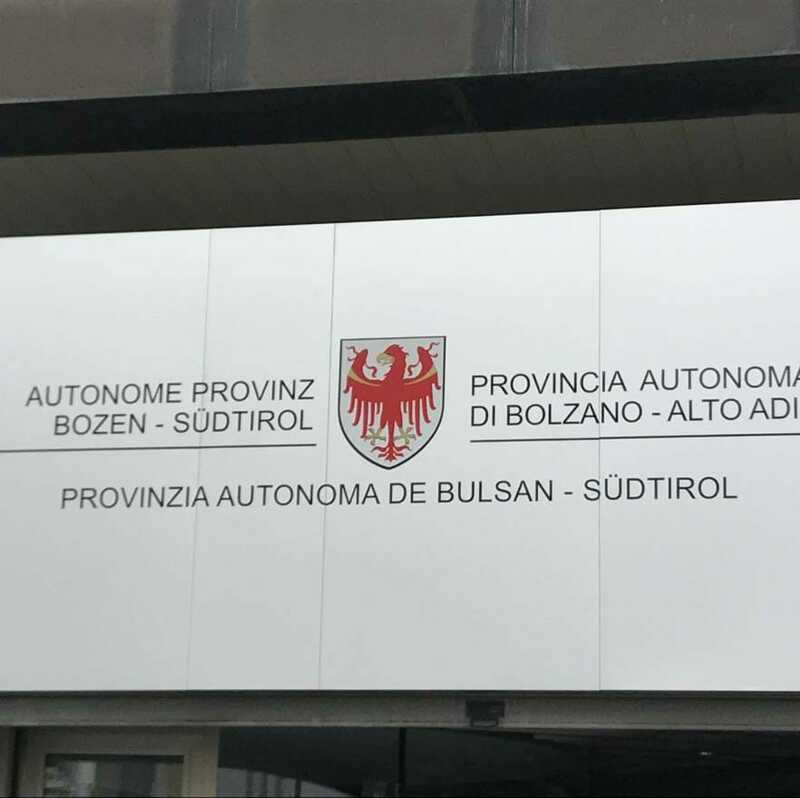 The two other major towns are Bolzano in Alto-Adige and Trento in Trentino. Bolzano is the capital of Alto-Adige (Südtirol) and the largest city in the region. 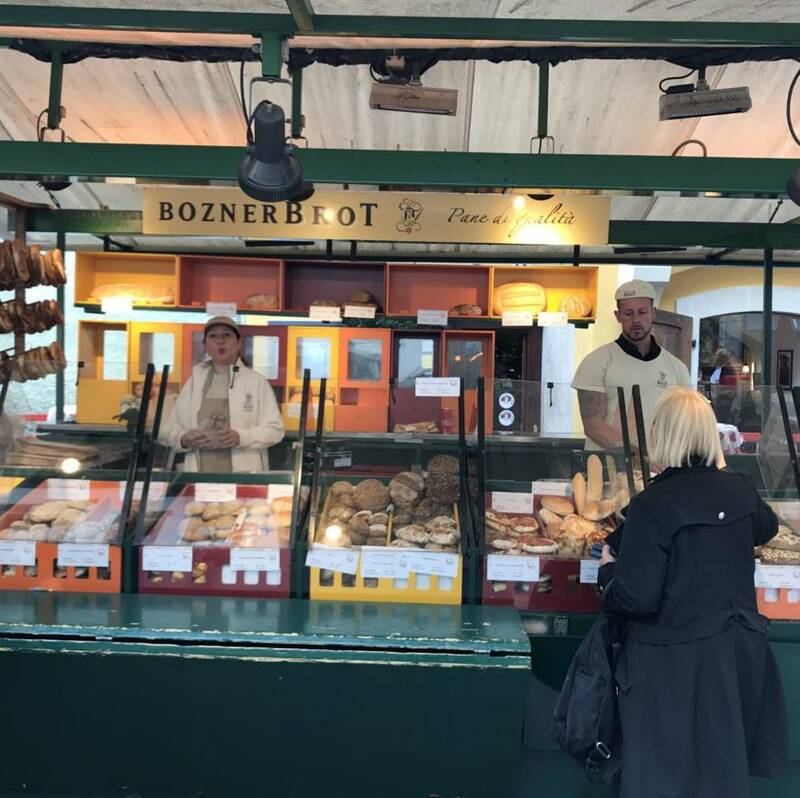 A city straddling two countries and two cultures, Bolzano is has learned to embrace the best of both worlds. Fun fact: Bolzano is also home to “Otzi the iceman”, one of the oldest preserved human mummies discovered in a nearby glacier and currently displayed in the South Tyrol Museum of Archaeology. Trento is the capital of Trentino and home of the 16th century Countil of Trent, during the Counter Reformation of the church. Today it’s a modern university town and the perfect jumping-off point for activities. Relax on a wine tour among the surrounding vineyards or get your heart rate up by hiking, skiing or cycling on some of the 400 km of paved cycling paths parting from the city. 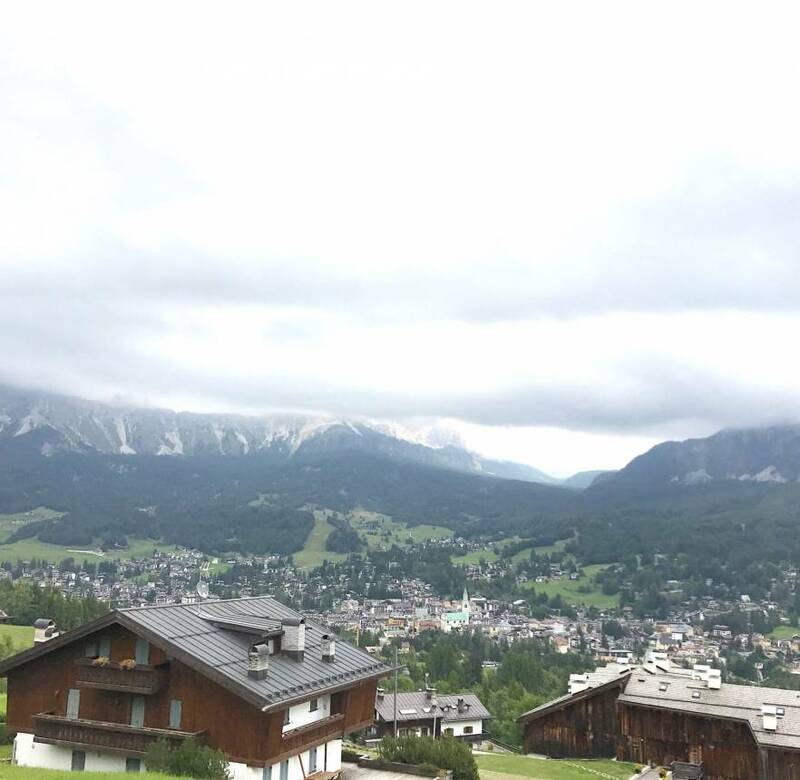 Heading west from Cortina into the Alto-Adige portion of the Dolomites, you’ll reach three main valleys: Val Gardena, Val Badia and Val di Fassa. 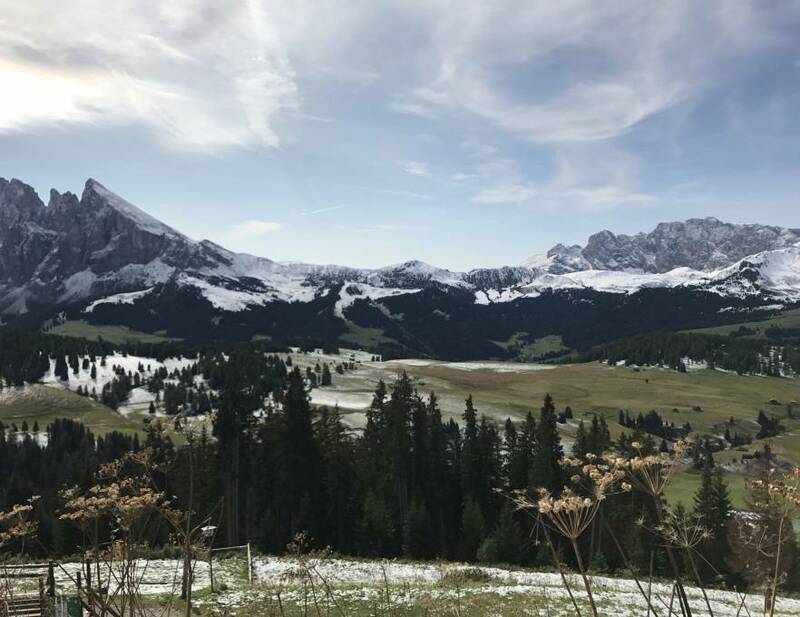 Those in search of more moderate slopes, including families and beginner or intermediate skiers, will find Val Gardena ideal. Stay in the charming towns of Ortisei, Selva or Santa Cristina. 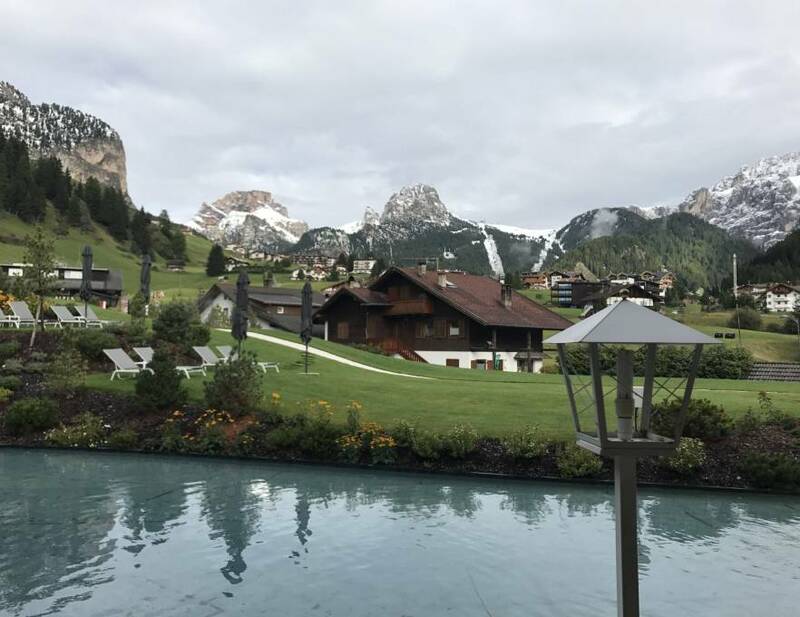 On the other side of the famed Sella Ronda is Val di Fassa, home to towns such as Canazei. 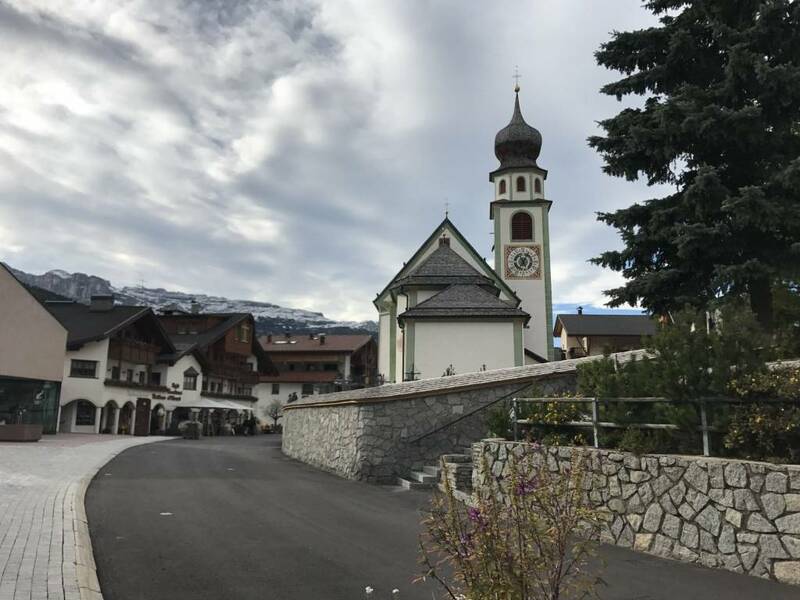 The third is Val Badia, comprising the towns of La Villa and San Cassiano. 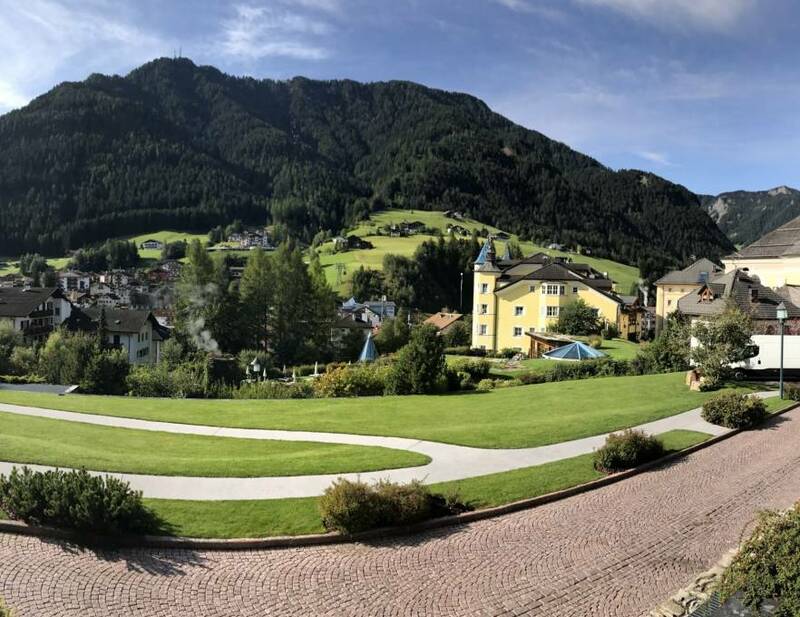 Some of our favorite boutique hotels are located in San Cassiano, including Rosa Alpina and Ciasa Salares. Unlike most other regions of Italy, Trentino Alto-Adige is most popular in the winter, when its world-famous slopes open to skiers from across Europe and beyond. 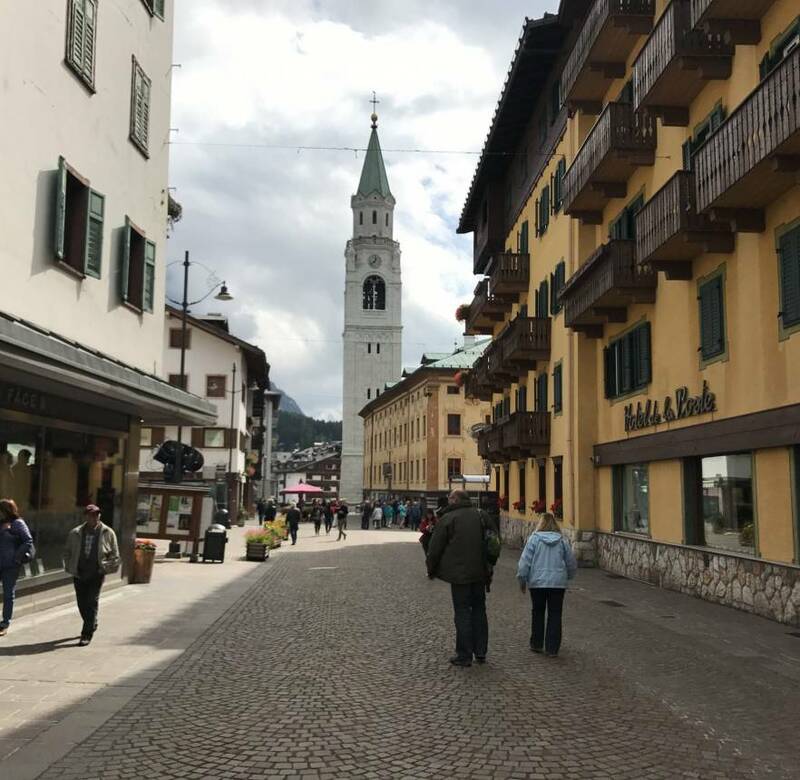 The Dolomites became even more fashionable for skiers after hosting the Winter Olympics in 1956 in Cortina d’Ampezzo, today one of the region’s most posh and famous cities. With over 1,200 kilometers of trails and a network of gondolas and chair lifts connecting many of the area’s mountain ranges, the Dolomites are ideal for ski bunnies who wish to hop from one slope to the next. In summer, when the snow has melted, the mountains attract adventurers looking to hike, mountain bike and soak in the natural beauty of the Italian Alps. Hikers can take advantage of the long-distance footpaths criss-crossing the Dolomites, called the alte vie. 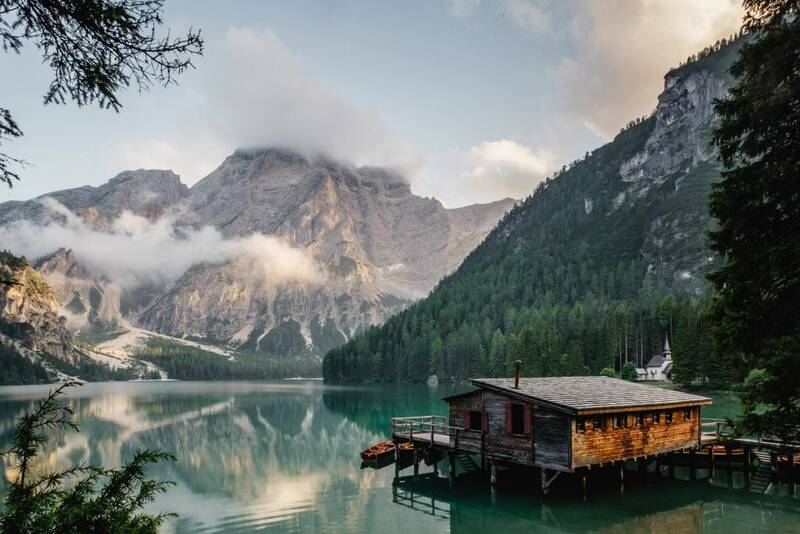 One popular hiking destination is Lago di Braies, a stunning lake whose emerald waters reflect the mountains above. Though the Dolomites are an outdoor lover’s paradise, it’s not all adventure sports and energy. The views alone are enough for a visit. Enjoy the gorgeous panoramas along the Grande Strada delle Dolomiti, or the Great Road of the Dolomites. Those looking for some R&R can tap in to the region’s healthy thermal bath culture. Though spas abound, we’d recommend baths built around natural hot springs. Try the massive Terme di Merano with 25 pools to choose from, saunas, a full spa and even a snow room. Added recently, the room is kept at about 14°F and filled with snow! The Dolomites are dotted with baite, small mountain cabins constructed with stone or wood to withstand heavy snowfalls. Traditionally used as seasonal residences for sheep and cow herders, a recently restored baita may now be used as a holiday home or rented to travelers looking for an off-the-beaten-path experience. On top of the mountains, skiers and mountaineers may find a rifugio, a shelter built as a point of refuge in case of sudden weather changes. Some rifugi today have become culinary hotspots, serving local dishes to hungry wanderers. 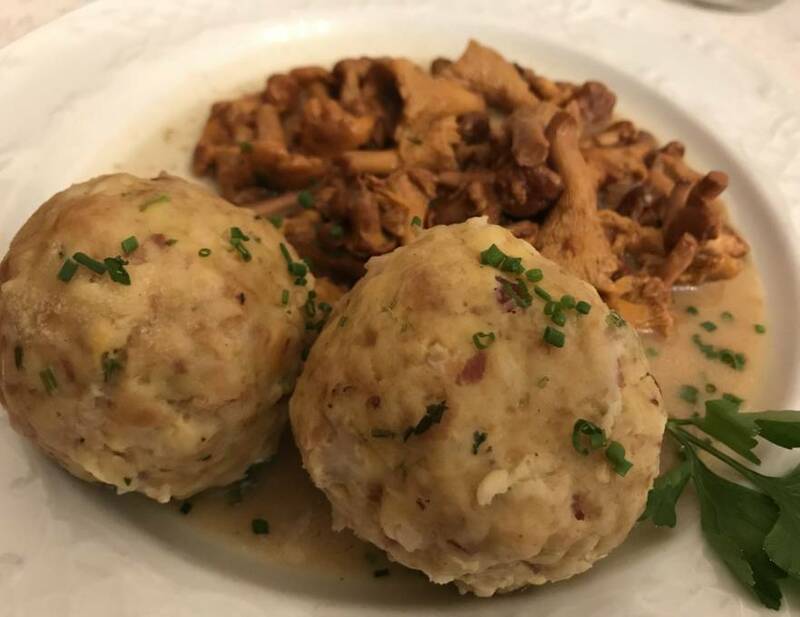 Food in the Alto-Adige shows the region’s German influence, with specials like canederli, bread balls made from leftovers including bread, milk, cheese and often speck (lean, lightly smoked ham). Gnocchi verdi, ghoulash and spetzel are all on the menu, and the region also produces apples. Wine in the region includes Teroldego (in Trentino) and gewürztraminer (Alto-Adige). 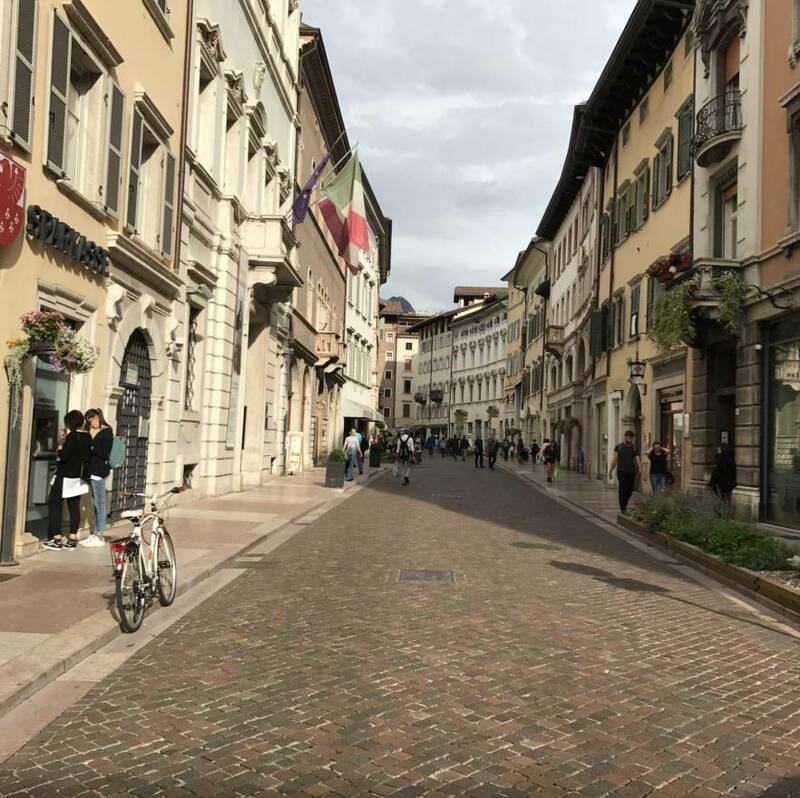 The Dolomites are easily accessible from Venice or Milan, and can be paired easily with a romantic, northern city like Verona or the towns along beautiful Lake Garda. If you’re ready to discover the Dolomites, touring picturesque resort towns, hitting famed ski slopes and warming up in charming lodges then check out our itinerary and let us do the work for you!